Fill out the form with any questions or inquiries you have for the sales consultants at Tuscany Meadows. You can also call or chat with us for immediate responses. Travel on US-190 Business East. Turn right on Martin Luther King Boulevard. Turn right on Rosewood Drive. Turn left at the 2nd cross street on East Central Texas Expressway. Turn right on Knight’s Way. Turn right on Stillhouse Lake Road. Turn right on Vineyard Trail, and model will be on the right. Travel on I-35 South to US-190 W.
Take the FM 2410/Simmons Road Exit. Turn left on Simmons Road. Turn right on FM 2410. Continue on FM 2410 for 6.5 miles. Turn left on Stillhouse Lake Road. 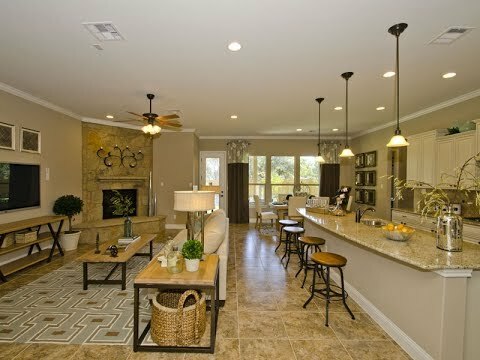 Near Killeen, Temple, Fort Hood Metropolitan area, Tuscany Meadows is a charming community offering convenient access to public parks, outdoor recreation, entertainment, shopping, and dining opportunities. Over sized home sites complement floor plans with open island kitchens, spacious walk-in closets, formal dining areas, game rooms, and media rooms. Explore Tuscany Meadows. The life you want, where you want to live it, has never been so attainable. The Sommerville is an open, one-story home design that features an open kitchen overlooking the dining area and light filled great room. This Weymouth’s one-story living features an open island kitchen convenient to the dining area, spacious great room, and Pulte Planning Center®. The Palomar boasts a two-story foyer with scenic views and three windows spanning the great room, plus a spacious second floor game room. Tuscany Meadows offers convenient access to family fun, from fishing and boating at Stillhouse Hollow Lake, to camping and hiking at Dana Peak Park. When plans call for indoor fun, discover shopping, dining, and entertainment a short drive away. Access Highway 190 for easy commuting into Belton, Temple, and Killeen. Tuscany Meadows is in Harker Heights, in the greater Killeen-Temple-Fort Hood area of central Texas, known for its numerous parks nearby. Stillhouse Hollow Lake and Dana Peak Park are minutes away, with campgrounds, fishing, boating, picnic areas, and playgrounds. With convenient access to Highway 190, homeowners can easily commute into the metro areas of Belton, Temple, or Killeen. Tuscany Meadows is less than a mile from Harker Heights High School, making walking to school a breeze. Developed using quality control measures, the Centex Build Quality Experience is a step-by-step process that helps to ensure your home is built with a high level of quality down to the very last detail. When you buy a new home, you can rest assured knowing that things work, as they should. From energy-saving features to new appliances and fresh décor—it’s hard to beat move-in ready. See how our step-by-step build process uses strict quality control measures to ensure your home is built to last. Take the mystery out of mortgages with a collection of articles and a mortgage calculator that can help you with home financing.